Eighty percent of network access will eventually be wireless, says a new report from IT services group Dimension Data. 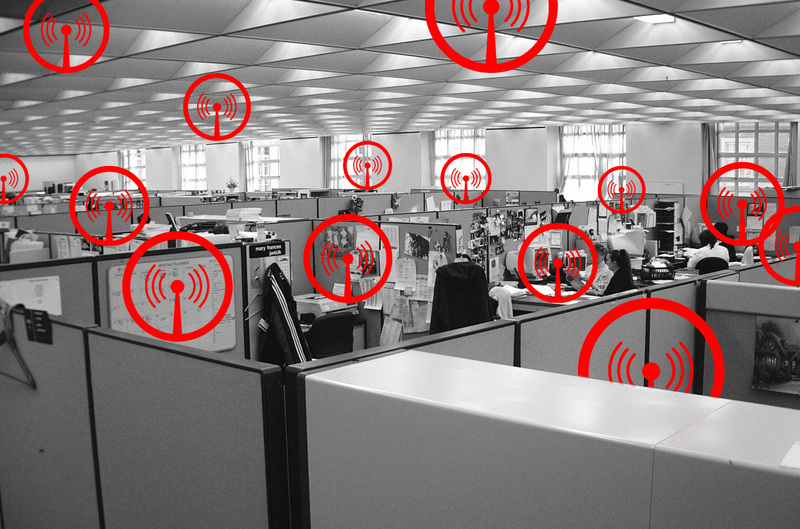 A new report predicts that wireless access will eventually dominate wired access in enterprise networks. The “2013 Network Barometer Report” (registration required) by Dimension Data, an IT services provider (and part of the NTT Group), was built in part by harvesting data directly from network devices used by hundreds of Dimension’s clients worldwide. Right now, Dimension claims, the split between traditional wired and wireless access ports runs about 80% wired, 20% wireless. But replacing wired ports with wireless ones will cost less to install and maintain; require less cabling, cooling and power; and provide more completely unified access methodologies. In turn, it will provide security as good as anything available on wired networks. “We predict that the combination of these factors, in addition to pressure from end users, will eventually turn the 80-20 ratio on its head so that future networks will be 80% wireless and 20% wired,” according to Dimension. What’s lacking, in Dimension’s view, is real preparedness on the back end for such a shift. In its view, simply substituting wireless access points for conventional network ports won’t cut it–not with high-bandwidth protocols like 802.11ac already coming into use. Dimension gave particular attention to the life cycle of hardware assets–in particular, network gear–and noted that the percentages of devices past their end-of-sale date has increased for three straight years in a row, and is now at its highest level in five years (which is when Dimension began collecting this data). The company recommends that IT “think, plan and budget architecturally, rather than reactively, when refreshing your network,” especially in light of the emerging need for newer networking gear to support the rise of enterprise mobility and BYOD. InformationWeek’s own 2013 Wireless LAN Survey (registration required) also notes the growth of Wi-Fi in enterprise networks, but respondents seemed less bullish on Wi-Fi dominance, with only 21% of those surveyed anticipating that WLANs would drive out conventional wired connections in the next five years. That said, downplaying wireless in the enterprise is a losing strategy. Yet another trend Dimension claims is pushing network managers toward a refresh of their hardware is support for advanced features over wired networking. This includes Gigabit Ethernet, but also Power over Ethernet (PoE), as well as the requisite 10-GB uplinks to support such connections.